Last week, Atlanta’s Mayor Keisha Lance Bottoms announced the city will be setting up its first-ever transportation department. As one of the largest municipalities in the United States and one with debilitating congestion issues, this is a huge step in bringing more equitable mobility for Atlanta locals. The move is part of the mayor’s One Atlanta agenda, which aims to advance equity, diversity, and inclusion through the creation of a safe and welcoming city with world-class infrastructure, services, employment opportunities, and more. She aims to build a better-connected city through the new DOT, which will oversee the management of Atlanta’s 1,500 miles of streets, as well as its sidewalks and bike lanes. The agency will consolidate the road construction and repair efforts of the City’s Department of Public Works along with the planning department’s Office of Mobility. Capital roadway projects that are currently part of the city’s infrastructure investment program will also be integrated into the new DOT’s list of duties. Janette Sadik-Khan, former head of New York’s DOT and transportation official at Bloomberg Associates, will advise Atlanta in the creation of its own office. “A city’s success begins with its streets, and a dedicated department is critical to putting the transportation pieces together,” she said in a statement. “Atlanta has an unprecedented opportunity to change course on transportation, and Mayor Bottoms is showing the strong leadership that a city needs not to just grow but to make real progress for Atlantans.” The Atlanta Regional Commission estimates the metro region—which consists of nine Georgian counties and 5.8 million people—will increase in population by 2.5 million before 2040. While many working-class families in Atlanta rely on the city’s public transit services, including the MARTA system, it’s still a car-ridden town and organized offices such as the new DOT are expected to boost the region’s connectivity and help with long-term planning. 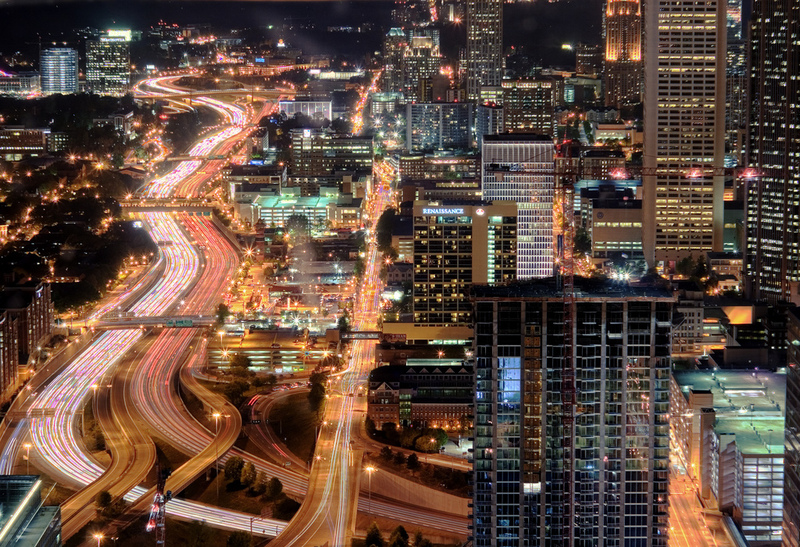 Last December, Mayor Bottoms released Atlanta’s new transportation plan that will concurrently guide the future expansion of the city’s transportation services, increase its access and affordability, and help diminish Atlanta's overall dependency on cars. The race is on to develop connected and automated vehicles (CAV) that are viable and affordable. The road to this goal is not a simple one, though. While Silicon Valley is working on the software side of the challenge, the U.S. government is looking back to the place where it all began: Michigan. Specifically, Willow Run in Ypsilanti Township. Willow Run was a B-52 manufacturing plant during World War II. Today, the site is in the middle of a transition that will make it the epicenter of automated-vehicle research. Willow Run is now home to the American Center for Mobility (ACM), and it has been designated as the first national CAV proving grounds by the Department of Transportation. At over 500 acres, the center includes a variety of environments designed to simulate real-world situations. 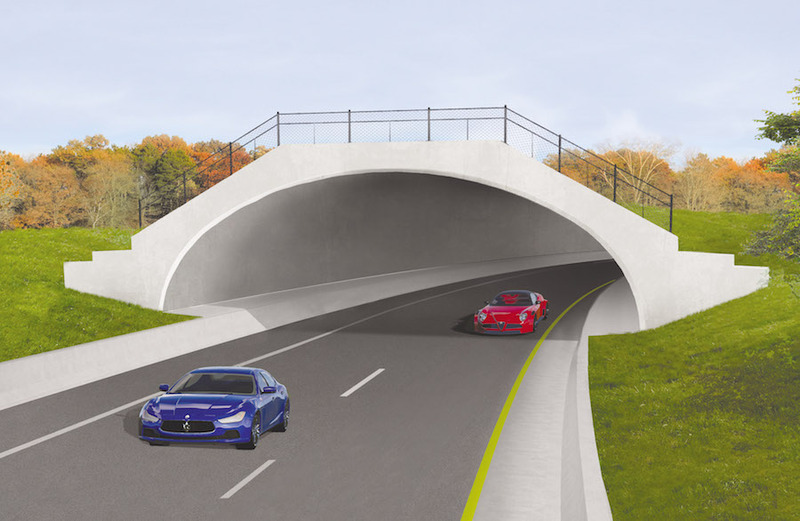 These include a 2.5-mile highway loop, a 700-foot-long curved tunnel, two double overpasses, and multiple intersections and roundabouts. Matched with Michigan’s varied and sometimes extreme weather, the center provides everything needed to put new autonomous testing technologies through their paces. The first task of the facility will be to help establish voluntary standards for CAVs, infrastructure, and autonomous technologies. Along with the Institute of Transportation Engineers (ITE) and SAE International, the center will work to identify the most immediately needed guidelines for safe automated transportation. The center is also working with the University of Michigan’s Mcity, a smaller research facility with its own proving ground. Mcity’s position within the greater university allows researchers access to the school’s engineers, public policy experts, and law, business, social sciences, and urban planning faculty. As a public-private partnership, the center is also working with companies like Toyota and AT&T. Toyota, which already does automated research at Mcity, recently invested $5 million into the center. AT&T is providing a dedicated LTE cellular network needed for the communication side of the CAV equation. According to the World Economic Forum, 10 percent of vehicles in the U.S. will be driverless by 2026. Before that can happen, new hardware and software will have to be developed to overcome issues of trust, cost, efficiency, and safety. 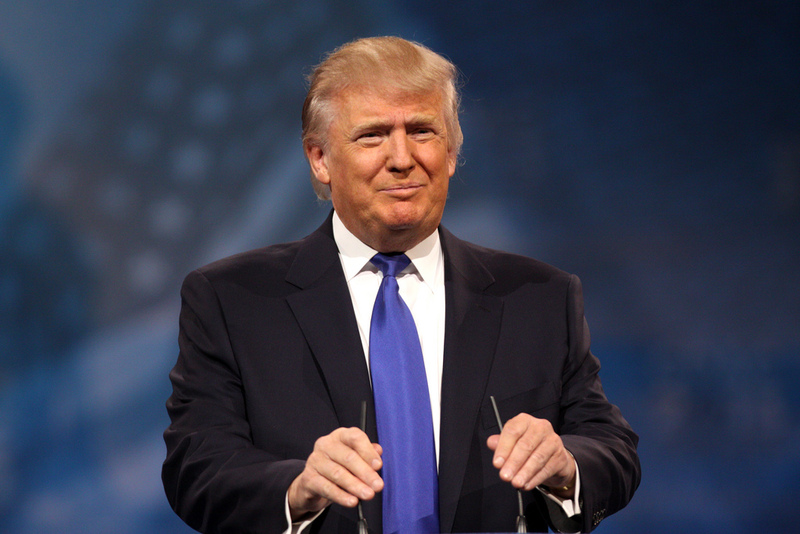 The U.S. government is counting on Michigan’s automotive brain trust to solve these issues and move the country back into the lead position in the automotive industry. 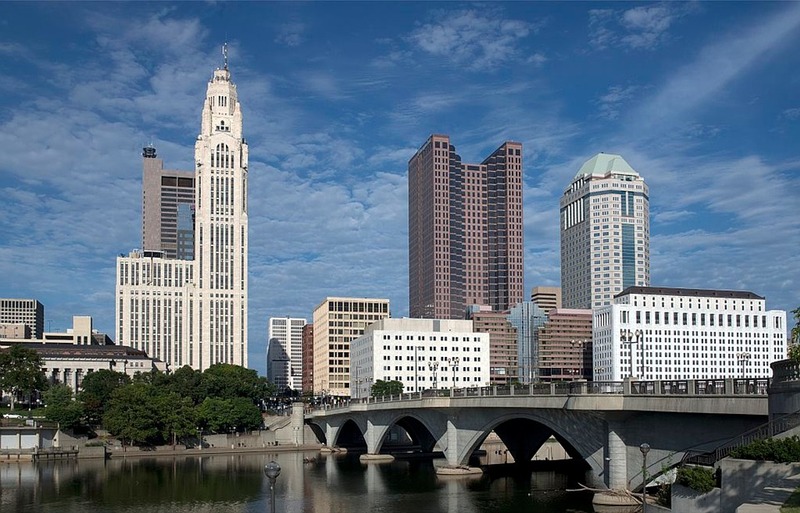 Columbus, Ohio has been named the winner of the Department of Transportation’s $50 million “Smart City” grant. Columbus was up against San Francisco, Portland, Austin, Pittsburgh, and Denver for the prize. Each city was asked to demonstrate how new technologies can improve urban transportation. Columbus’s application was based on improving access to jobs for low-income residents with shared cars and autonomous buses. The proposal included multimodal phone apps, electric vehicle charging stations, self-driving buses, and $90 million in pledges from Columbus companies. The city will enact its plans over the next four years, and a non-profit board will oversee the allocation of funds https://youtu.be/mdkTlBtbYpcv Columbus plans to focus much of its prize money on the Linden neighborhood, an underserved part of the city. Linden has the worst access to jobs, medical services, and transit in all of Columbus. By providing new technologies and integrating other existing services, such as Uber and car sharing, the city hopes to increase resident’s access to amenities. The original $40 million DOT grant was increased by $10 million from Microsoft cofounder Paul Allen. Other cities have stated that they intend to continue to move forward with the plans they used to apply the grant. For instance, Kansas City is hoping to continue the public private partnerships developed during the competition. The DOT has also hinted at consolation prizes for the five other cities, but has not release details. 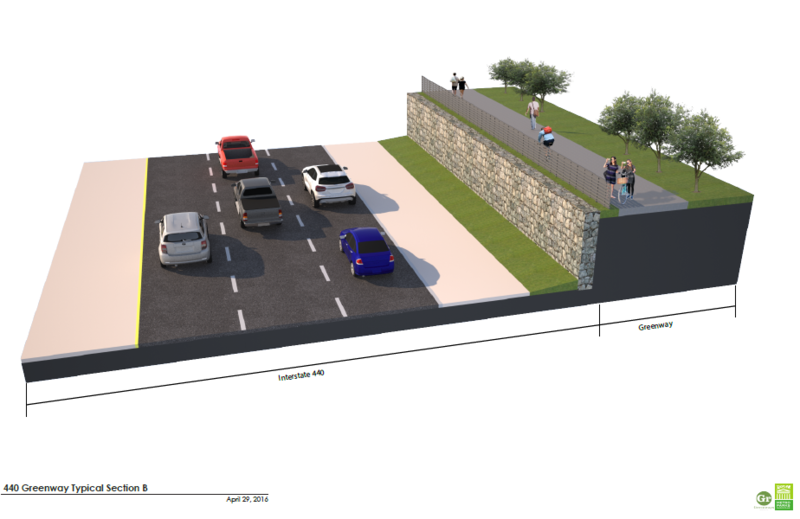 Nashville, Tennessee is planning a 7-mile elevated pedestrian and bicycle greenway. The $40.2 million dollar project would run along Interstate 440. Located in the state-owned right of way, the greenway would link area parks and possibly link to another new greenway near the Fairgrounds Nashville. The exact design and location of the greenway has yet to be determined. Early imagery of the project shows it immediately alongside and rising above the interstate. To fund the project, Metro Nashville has applied for a $30 million grant from the Federal government. The grant would come from the Department of Transportation’s Tiger Grant program which is expected to release $500 million for similar projects this year. Tiger Grants are specifically designated for alternative transportation infrastructure. Nashville already has over 80 miles of greenway bike and pedestrian paths. Most of these are located along waterways and natural areas. This new path, integrated into the freeway system, would be decidedly different given its location next to an interstate. The Urban Redevelopment Authority of Pittsburgh will receive $1.2 million to encourage transit-oriented development along a corridor connecting downtown Pittsburgh to neighborhoods on the east side of the city. The redevelopment authority, along with the Port Authority of Allegheny County and local partners, has begun initial planning and environmental review of a bus rapid transit project proposed for the corridor. 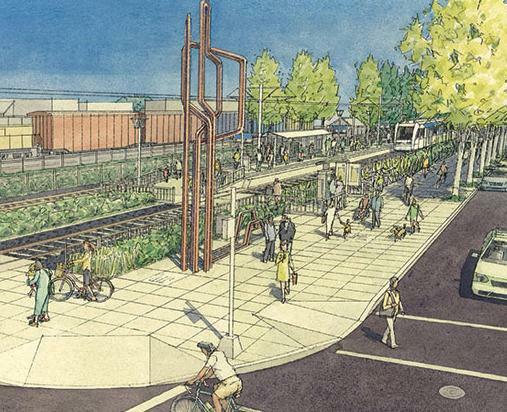 The Sacramento Area Council of Governments will receive approximately $1.1 million to work with local partners to develop a toolkit of policy and regulatory changes to encourage transit-oriented development in the areas surrounding the planned Downtown Riverfront Streetcar project. GoTriangle (formerly Triangle Transit) in Durham, NC, will receive approximately $1.7 million to support efforts to implement transit-oriented development along the Durham-Orange Light Rail project, a light rail line the agency is developing between Durham and Chapel Hill. A complete list of the winners and their grants is available on the FTA website. In New York these days, pedestrian plazas keep sprouting up in different pockets around Midtown Manhattan, an area known more for its heavily trafficked avenues and streets than its pedestrian-friendly corridors. 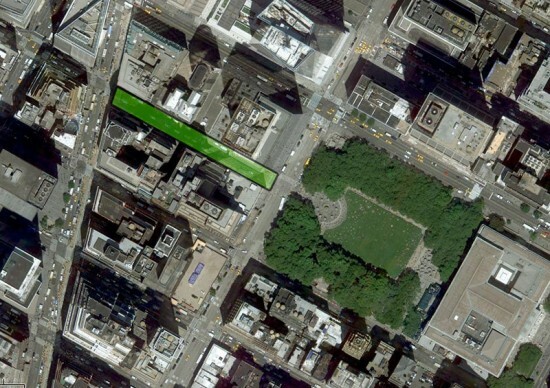 And now, The New York Times reported that business owners along West 41st Street are pushing for their block, stretching from Broadway to Bryant Park, to be transformed into a tree-lined plaza, dotted with tables and seats. The street will stay open to traffic, but parking would be eliminated to make room for the promenade connecting Bryant Park with Snøhetta's now-under-construction revamp of the Times Square pedestrian plaza. 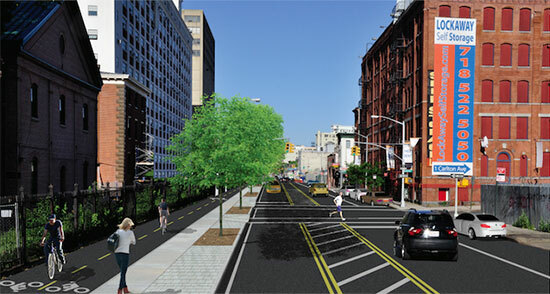 Wally Rubin, District Manager of Community Board 5, told AN that the transportation and environment committee voted last Thursday to recommend approval of the plan, dubbed “Boulevard 41,” which will then go in front of the full board for a final vote on April 11th. If the Department of Transportation then green lights the proposal, the plaza could open as soon as this summer.